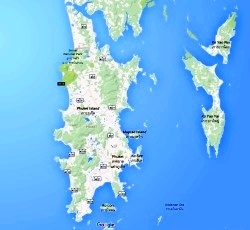 While staying in your Phuket apartment, you may be looking for some inexpensive personal transport. One of the best ways to get around the island is by motorcycle, so you are welcome to rent one of our motorcycles while you’re here. 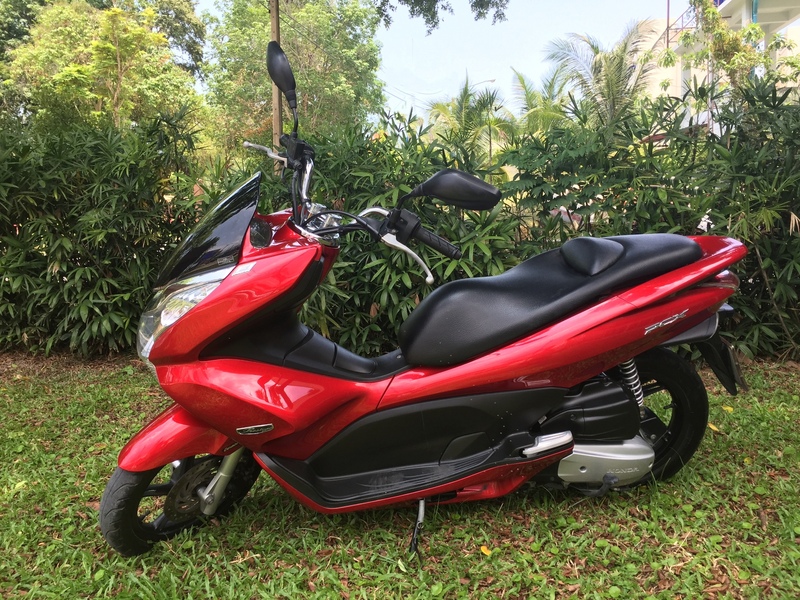 All are relatively small Hondas (between 110cc and 125cc), so while not built for speed they are very economical and easy to operate. This is the ideal choice for anyone new to motorcycles, as there are no gears – just twist and go. No gears also mean that there are no foot pedals, with all controls on the handlebars. It even has a hook to hang your shopping on. 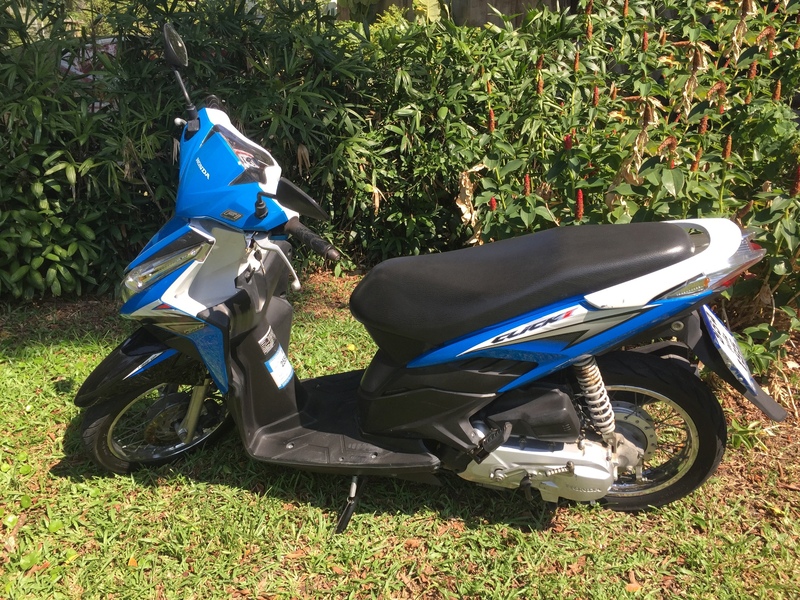 The Click is probably the most economical option that we offer, though none of these bikes with their small engines could be considered thirsty. The RentPhuket Click is available for just 3,000 baht per month. 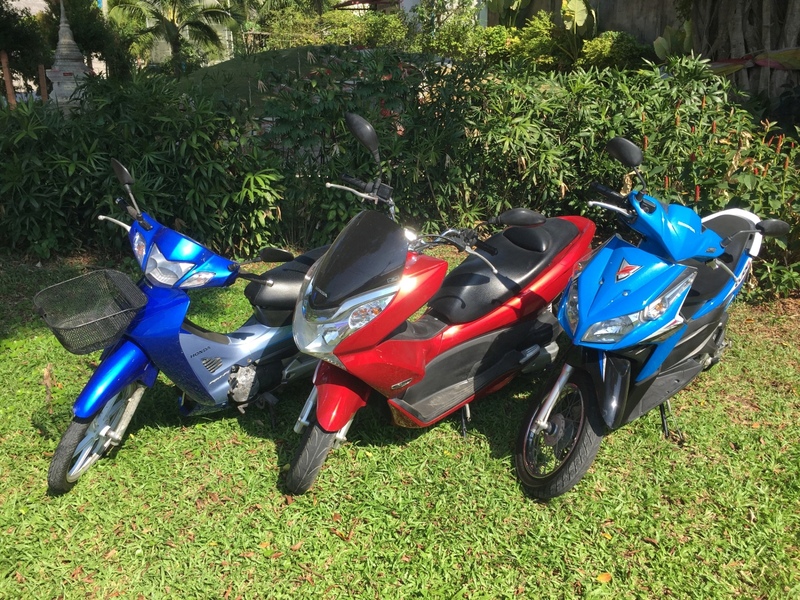 The PCX is the biggest and most comfortable motorcycle we have. 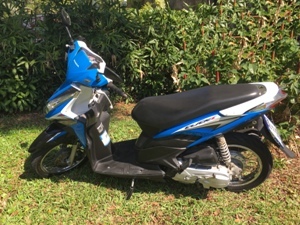 Again, there are no gears so it’s very easy to drive; A premium motorcycle; driving the PCX around Phuket is smooth and effortless. It also has an automatic engine cutout while you’re stationary at traffic lights, etc. 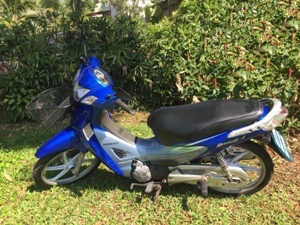 This bike has plenty of storage space and is equipped with an alarm, though it’s not particularly necessary in Phuket. 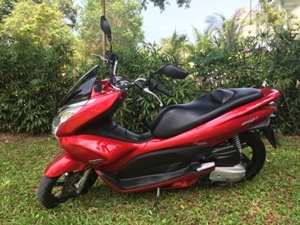 The Honda PCX is 4,500 baht per month.